Scottish designer Domenica More Gordon is living proof that you really don’t need to try all that hard when you are inspired. 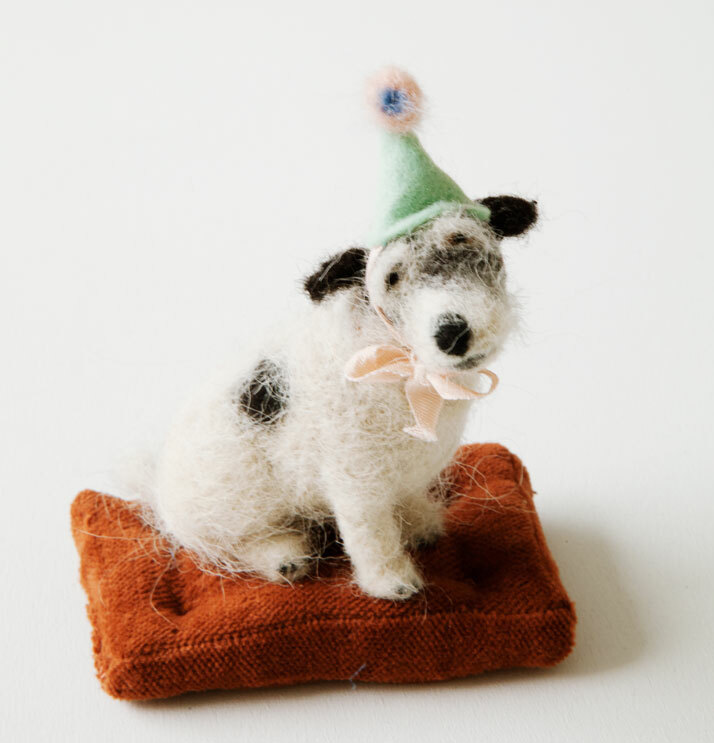 Domenica created her first miniature felt dogs as a mere hobby but, to her surprise, they slowly gained respect from thousands of devotees, finally ending up in some of the best galleries all over the world. It seems that no one can really resist her cute creations. 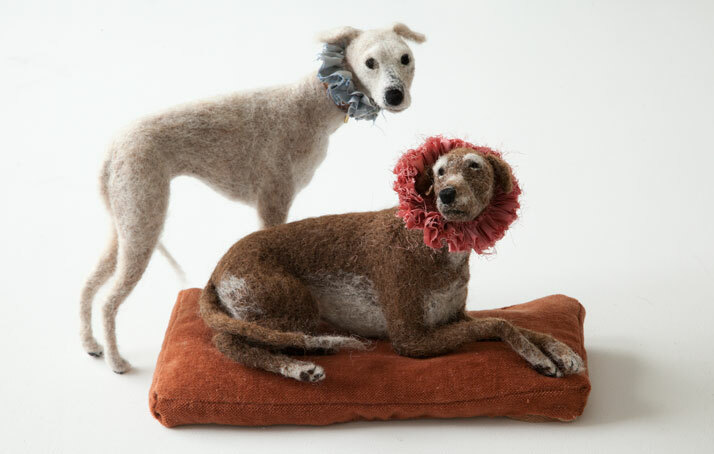 The secret lies in a special technique, called dry felting, which is based on stabbing unspun wool with a felting needle until you shape the wool into the intended form. Of course, it takes a lot of love and patience to get the desired results. Domenica’s dogs live in a parallel world, straight out of her childhood memories, a world where innocence and tenderness still reign free. The dogs are in fact her attempt to revive this special feeling of attachment one has for their toys as a child which is a magical bond that gets stronger and stronger as time goes by. One cannot but simply admire her ability to project the universal need of being loved into those cute, wide eyed creatures. 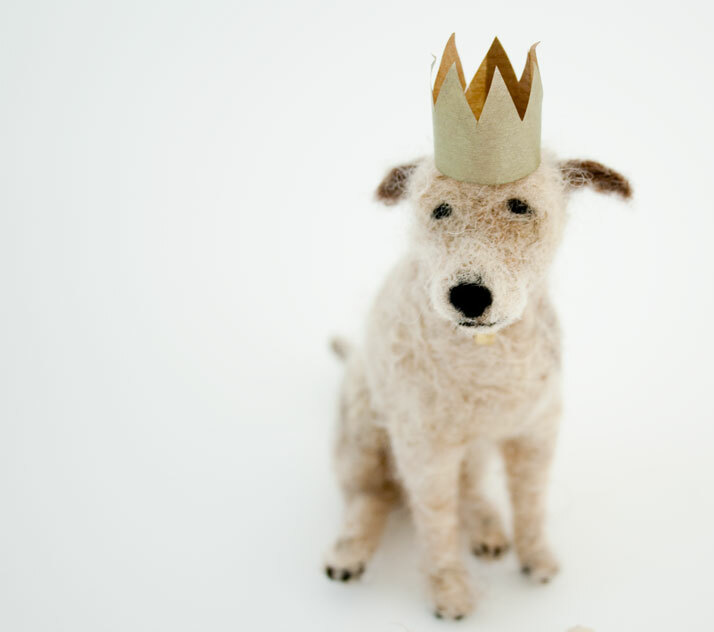 The final result is so charming that her little dogs could definitely break the heart of even the most cynical person out there. 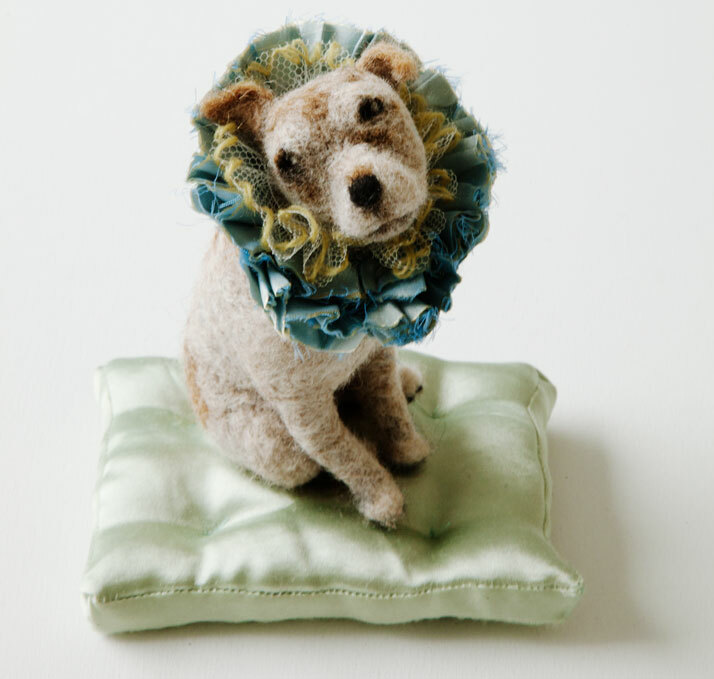 Domenica More Gordon studied textiles at Central St. Martins and worked for publications such as Homes & Gardens, The World of Interiors and Elle Decoration in London and Los Angeles before discovering her passion for dogs. Since then her creations have inspired a fair bit of discussion all around the globe and have even captivated the hearts of Brad Pitt and Pete Townshend. 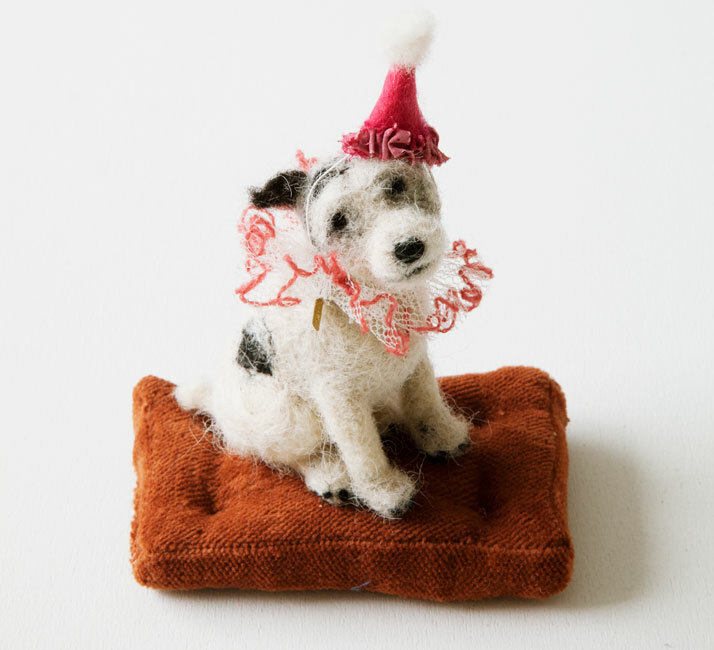 Her new collection, called Show Dogs, is about to be shown in Tokyo, at the Arts and Science Gallery (9-18 December 2011), just in time for Christmas. 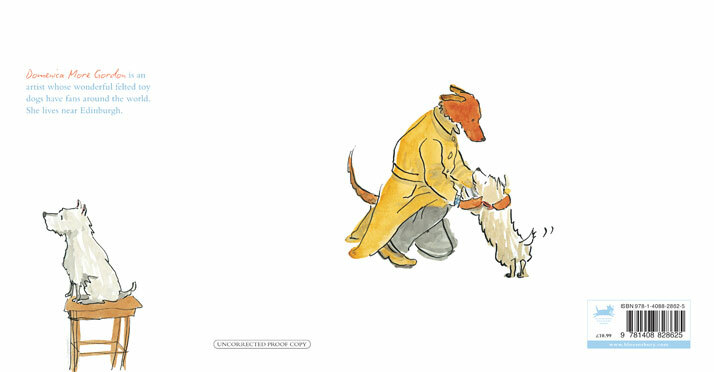 In the meanwhile, she is working on her first illustrated dog book for Bloomsbury, featuring sounds rather than words, which is about to be released in the UK in August and the U.S. in September. Yatzer caught up with Domenica More Gordon in order to gain a firsthand look at her new collection and interviewed her in an attempt to reveal all those little secrets that are hidden behind her adorable dogs. Fasten your seatbelts and get ready for the ultimate doggie adventure! Domenica, how did your dog adventure start? I have always been fascinated by toys; especially old toys. I wanted to create an object which would generate the same kind of intense connection I used to feel as a child for some of my toys. I tried making toys for my children out of papier mache, felt, clay, card, paper and wire, sticks, puppets and elaborate maze type games in the sand with symbols and stones. I told stories and made the figures to go along with the stories. I could never quite get what I was looking for, but I never stopped trying. It wasn't until I became involved in making things to raise money for a charity, and a friend introduced me to dry felting, that I found the material that I had been looking for. It’s amazing the way that your dogs almost seem real; you have managed not only to portray their faces and bodies but their souls as well! They are like huge generators of cuteness and positive energy. What’s the secret behind this? I am not sure what the secret is exactly, but my father is a painter, he paints very detailed wonderful watercolors and my mother is a textile artist so making things, drawing and painting have always been part of my life. Looking at things, I mean really looking at something is part of all that.....also attention to detail, down to the finest point and the determination of capturing the feeling you are looking for no matter how long it takes. I am very interested in the actual process that you follow. It looks like it would take a lot of time, patience and, of course, love in order to achieve these amazing results. I also wanted to know what kind of materials you use. I was surprised to discover that you are even use curly fleece from Greece! 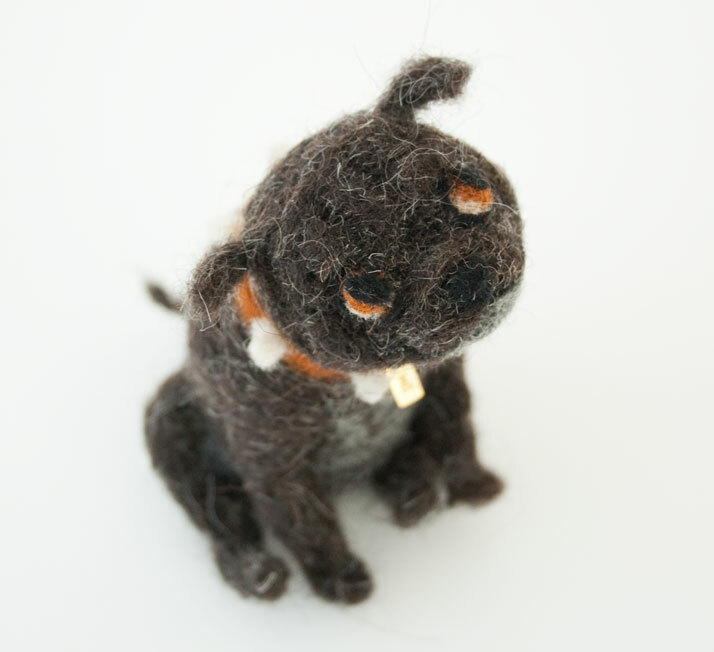 The process I use for making the dogs is called dry felting. It is very simple. 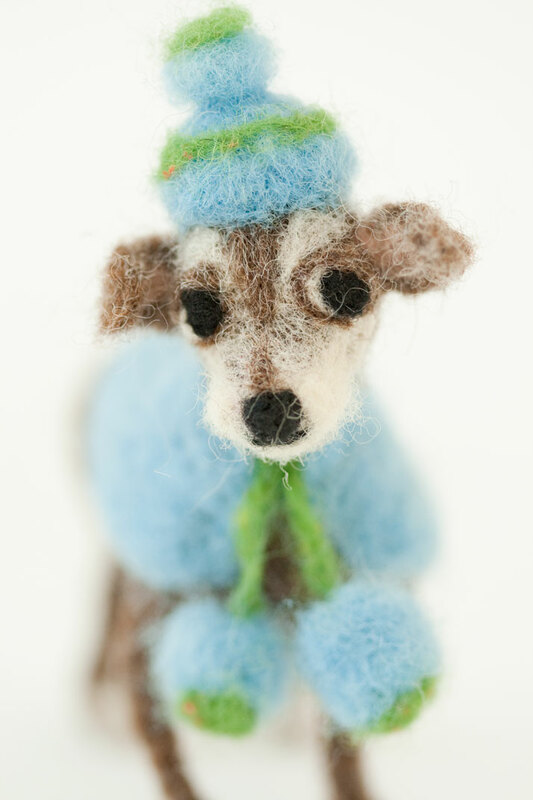 You use wool in its basic form and a series of different sized felting needles. The needles have tiny hooks on the end and as you stab the needle in and out of the wool, it begins to take shape. The longer you work at it the firmer it becomes. The challenge for me is to get the feel of the dog right, not just how it looks but how it feels in your hand. I use wool from all over Europe. There is a particularly good wool from Greece which I get when I go, it has everything, soft bits and wonderful wiry bits, great for mongrels....My most treasured wool is from St Kilda, a very remote island in the Outer Hebrides which is the only place in the world where these sheep live, and the wool was picked up literally from the grass where the sheep roam by some friends. Why dogs? What do they symbolize for you? Dogs are usually associated with qualities such as loyalty and kindness; they can even be an alter ego or an extension of us. What is the relationship that you have with them? Did you expect that your dogs, these very small, personal projects, would go on to enjoy such a big success? What is the factor, according to your opinion, that makes people go crazy about your creations? I was amazed and thrilled by people's responses to the dogs and I definitely didn’t expect it. I think that people’s love of dogs is universal. It is a love that is unconditionally given and received. Designing objects by hand has become very popular recently in the design world, with creators rediscovering the importance of the relationship between the designer and the material. What’s the quality a handmade object offers? How did you come up with the idea of your dog kits? A handmade object is unique, no two are the same, and you can never completely copy someone else's work....you can imitate and attempt to copy, but you never quite can get that spirit that the original maker gave it. 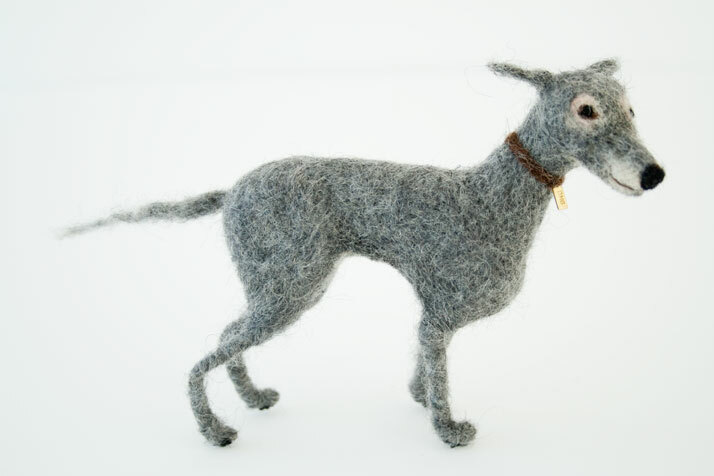 I decided to make the kits so that other people could make their own dogs, especially if they can't afford one of my dogs. 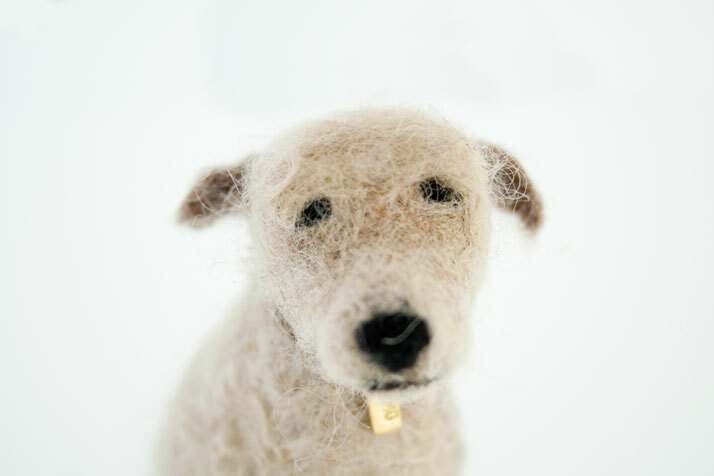 The beauty of dry felting is that you don't need to master any complicated technique to start, you just pick up the wool and needle and you are off. It is addictive and difficult to put down once you start. The wool is so responsive and you actually see a shape emerging without too much effort. It also has a meditative effect by calming and focusing your mind. 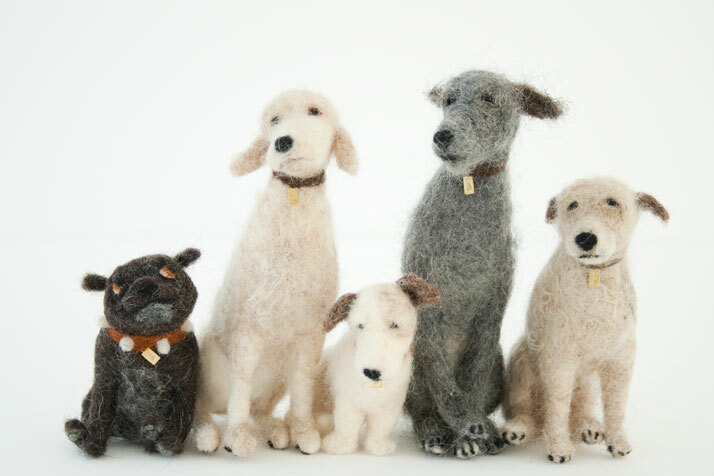 My dream is to make an animated film of the dogs for the BBC. I really love Pingu. 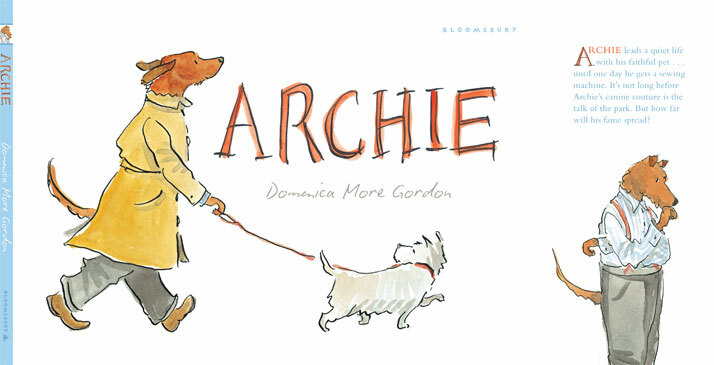 I have just signed a 3 book deal with Bloomsbury, a story about Archie, a dog needless to say, using sounds [written] and pen and ink drawings to tell the story. He would love to be animated, he told me so. He comes out next year. 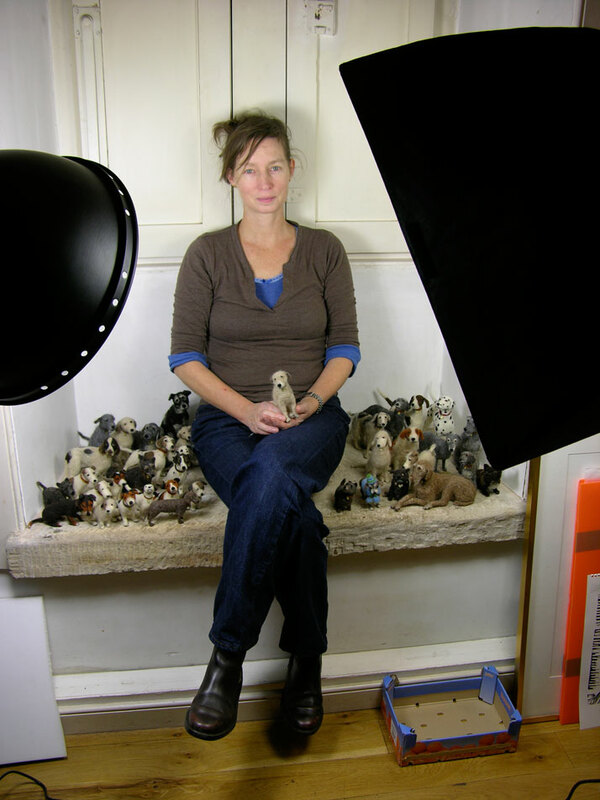 I am obsessed at the moment with Automata and am working on various ideas along those lines. I consider myself immensely lucky that I can spend so much time making my inner world become a reality. My only anxious moments are when I realize that this world is becoming more real than the real world....but this only lasts a moment as I plunge straight back in.